Bring Your Own Bottle to any party is a must these days especially if you’re going to stay the night! 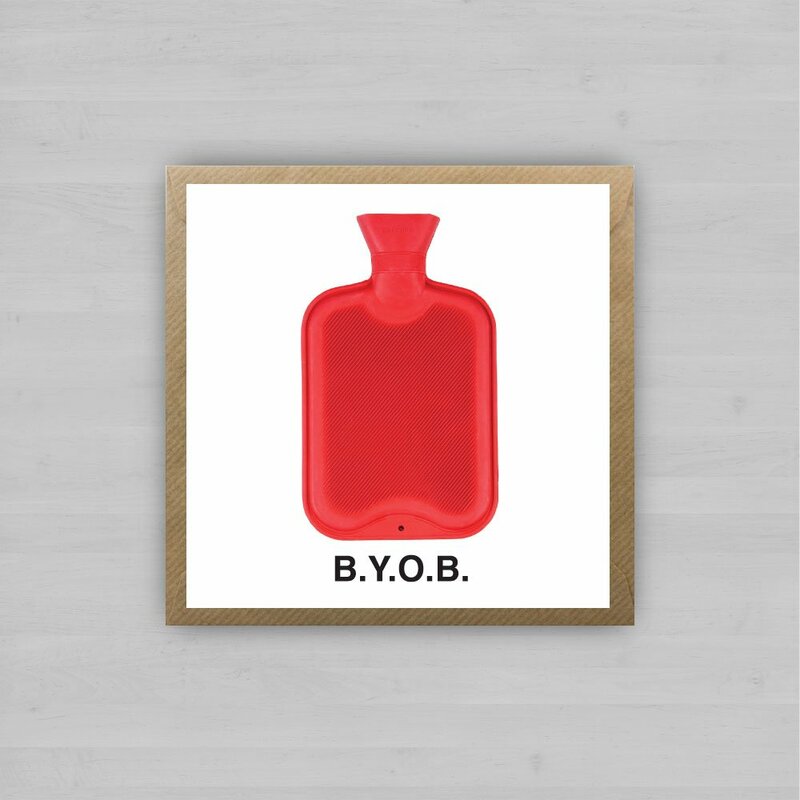 Part of our range of artworks that aim to reflect and capture the Irish life in a witty and humours way. Slang consists of a lexicon of non-standard words and phrases in a given language. Use of these words and phrases is typically associated with the subversion of a standard variety (such as Standard English) and is likely to be interpreted by listeners as implying particular attitudes on the part of the speaker. In some contexts a speaker’s selection of slang words or phrases may convey prestige, indicating group membership or distinguishing group members from those who are not a part of the group. In its earliest attested use (1756) the word slang referred to the vocabulary of “low or disreputable” people. By the early nineteenth century, it was no longer exclusively associated with disreputable people, but continued to be applied to language use below the level of standard educated speech. The origin of the word is uncertain, although it appears to be connected with Thieves’ cant. A Scandinavian origin has been proposed (compare, for example, Norwegian slengenavn, which means “nickname”), but is discounted by the Oxford English Dictionary based on “date and early associations”.